There are literally hundreds and thousands of blogs on life posted on the internet. Some of these blogs are interesting, some are informative, some are inspirational and the quality of writing is so high that you keep coming back for more. It’s easy to make the assumption that popular blogs on life would be highly personal blogs about the writers’ lives and following the intricate details of their daily grind. However, whilst there are many personal blogs out there, the best blogs on life that I find totally absorbing and refreshing to read are blogs on life experiences and general life guidance. That means topics such as: how to be happier, how to be content with the life you have now, how to find the courage the change and so on. I’m going to list my favourite blogs on life, with a short description of what the blog is about and why you might enjoy reading it! The Change Blog – This wonderful blog was set up around 5 years ago by a guy called Peter Clemens. Initially, he wanted to share his experiences of change. Now the purpose of the blog is to help others to change their lives in the way that is right for them. There are hundreds of posts (written by a variety of different authors), which cover everything related to changing your life in a positive way. These include posts about meditation, daily habits, finding your passion, having control in your life, valuing what you already have and so on. It perfectly sums up that this is one of those blogs on life that explain what it is all about and there is nothing better than helping other people to live more fulfilling lives. The Positivity Blog – This blog is written by a Swedish guy by the name of Henrik Edberg. It has excellent content, which covers all aspects of life enhancement and personal development. 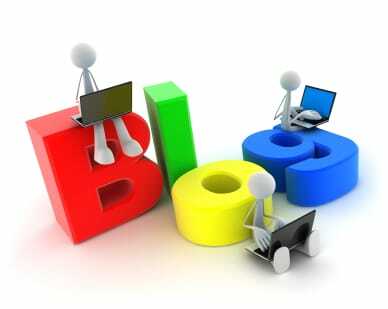 As blogs on life go, it’s very popular and receives over 400,000 visitors a month. This is not surprising when you read the posts, which are all written by him and are of an incredibly high standard. They contain relevant information, packaged in such a way it is really easy to read. There is absolutely something here of significance for everyone. I mentioned above how motivating the use of quotes can be. Henrik uses them extensively, every post starts with a quote, some posts contain several quotes, which are always very appropriate to the subject matter. It was difficult to pick just one, but I chose this because it resonated with me. I am a perfectionist and know how sometimes striving for perfection saps your energy, clouds your focus and prevents you from achieving your goals. Please take a minute to have a look at both of these incredible blogs on life. There is definitely something of value to everyone and it is a powerful reminder that the opportunities we have in life are those we make for ourselves. I hope you have found this post useful, if you have any favourite blogs on life then please feel free to comment below and let us know what they are. Please also share this post on Facebook. We personally write one of our blogs using the Empower Network blogging platform, it is very simple to get started and you could soon be on your way to living the life that you want to lead. The notion of freedom – to make your own decisions and to truly live the life you want is an extremely compelling one. For more information on how we achieve this and to join the Empower Network, write your own blogs on life and change your life for the better today, click here.